Please don't hesitate to contact us with your enquiry or booking request. What we offer is a range of tours, primarily in the Pyrenees, with Explorer Special Tours to Corsica, Sardinia, Iceland, Portugal & the Alps. What we do not offer are road books or vehicle hire. 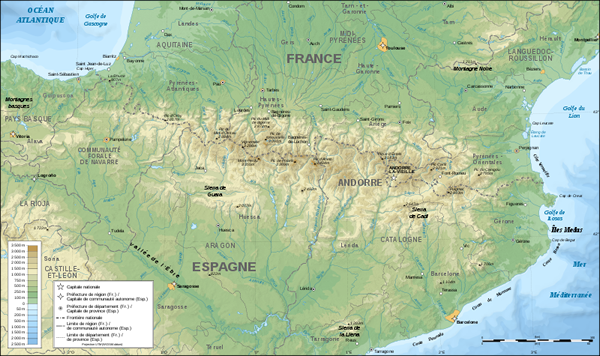 Take the A66 auto route south from Toulouse / N20 - E9 to Foix / D117 Foix centre / or continue on the D117 to Lavelanet. Take the trans Pyrenees A64 - E80 autoroute to St Gaudens leave at junction 20 and follow the D117 via St Girons to Foix centre / or continue on the D117 to Lavelanet. Fly with one of the low cost airlines such as - Ryanair / Easyjet /Flybe / BMI - book in advance for some real bargains. WHICH FERRY ROUTE TO CHOOSE? The most relaxing way here is to take a mini-cruise to Bilbao or Santander in Northern Spain. With plenty to do on board... several shops, bars, cafes and restaurants, and even a casino and cinema - just sit back, relax and enjoy yourself. Once you have disembarked it's a few hours drive up the coast and into the Pyrenees. The Dover - Calais crossing is a possibly cheaper alternative to the above, followed by a two day drive straight down the country to the Pyrenees. A round trip - Take a mini-cruise to Bilbao or Santander in Northern Spain and after your tour with us, have a leisurely drive back up north through the beautiful countryside of rural France or vice-versa.